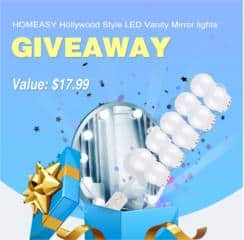 Follow the instructions on Homeasy FB page and enter for a chance to WIN 1 of the 3 Homeasy Hollywood Style LED Vanity Mirror Lights Kits. They’ll pick 3 winners on 31st March. Good luck!! Click Play, continue, and register. 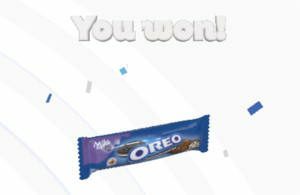 Then, click Play Without Camera and twist the cookie to see if you won. They have 1,000,000 coupons for FREE Oreo Chocolate Candy Bars available Saturday only so there’s a good chance many of you will win. You can play daily until March 6th for a chance to win prizes and enter the sweepstakes. Enter the Peace, Love & Artichokes Sweepstakes for a chance to win a $1,000 VISA gift card. 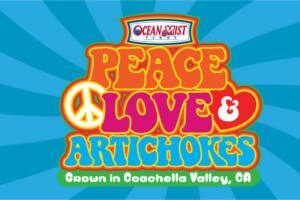 The first 1,000 entrants will receive a Peace, Love & Artichokes bumper sticker. 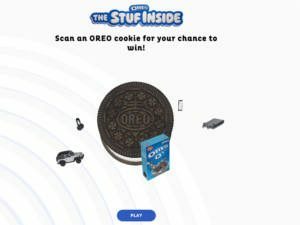 Play the OREO – THE STUF INSIDE IWG for a chance to Instantly Win prizes such as An all-new 2018 2-door OREO customized Jeep Wrangler with Sport trim, $10.00 Sonic gift card, OREO x K2 Snowboard, OREO O’s Pajamas, Google Assistant devices, OREO-branded PopSocket, Wiz Khalifa Music Boxes, Grado Labs headphones in an OREO design, $1,000.00 gift card redeemable for one (1) roundtrip ticket on Delta Airline, OREO leggings and much more! You’ll also be entered to WIN a trip for two (2) to New York City, New York. Open to residents of the 50 United States, D.C., and Puerto Rico 18 years of age or older at the time of entry. Ends at 11:59 pm ET on March 6, 2019 . Good luck!! NOTE: No purchase required. Click “Play without Camera” to play without taking a picture of an OREO. 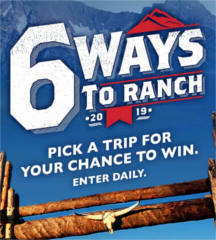 Enter for a chance to WIN a Marlboro Ranch trip consisting of a 4-day/3-night trip for two (2) to a ranch in the western United States. Open to tobacco consumers 21 or older. Void in MA, MI and where prohibited. 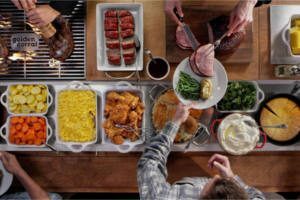 WIN FREE Golden Corral for a Year! Enter for a chance to WIN FREE Golden Corral for a year! NO PURCHASE NECESSARY. Ends at 11:59 PM ET on 2/17/2019. Good luck!! 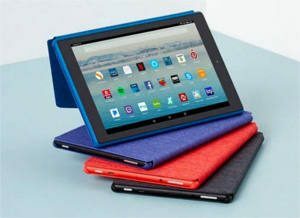 WIN an Amazon Kindle Fire HD 10 Tablet! Enter for a chance to WIN an Amazon Kindle Fire HD 10 Tablet. No purchase necessary to enter. Ends on March 1st, 2019. Good luck!! 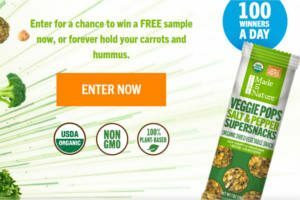 Sign up for your chance to score a FREE single-serve sample of Veggie Pops. Winners will be chosen at random weekly and notified by email on Monday each week until all 10,000 samples are awarded. U.S. entrants only. Good luck!! 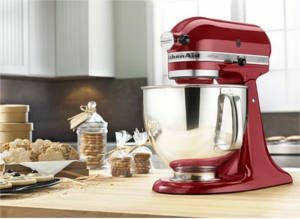 Enter for a chance to WIN a KitchenAid 5qt Artisan Tilt-Head Stand Mixer. No purchase necessary to enter. Ends on January 25th, 2019. Good luck!! 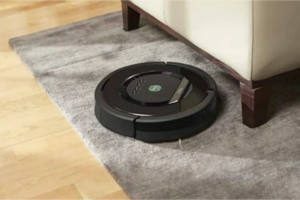 WIN an iRobot Roomba 690 Robotic Vacuum! Enter for a chance to WIN an iRobot Roomba 690 Robotic Vacuum. Ends 1/18. Good luck! !